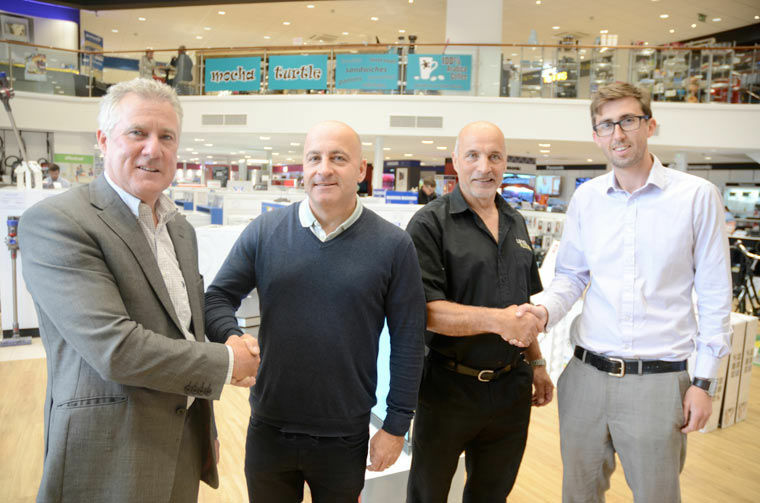 Poole-based Living Floors flooring and carpet retailers and fitters has now joined WBC Bathroom design and plumbing on the second floor of the Purewell Superstore in Christchurch. Both businesses are family owned and operated with turnovers exceeding £1m. Ian Griffiths, MD at Purewell, says he is delighted that the two showrooms are now in place to provide a convenient and competitive option for the area’s homeowners. “WBC’s MD Graham Moore and his team of 19 engineers have provided installation projects for our customers purchasing boilers and other equipment for a number of years, so it’s great to have them in the store displaying their quality and design flare. National award winning Purewell Electrical was founded by Arthur Griffiths in 1950 in Christchurch and is now a £5m-turnover family business employing a team of 28 people. As well as new to market products, Purewell offers a wide range of well-known brands from manufacturers within their key departments including TV, audio, home appliances, photography, kitchen, bathroom and gadgets/computing.